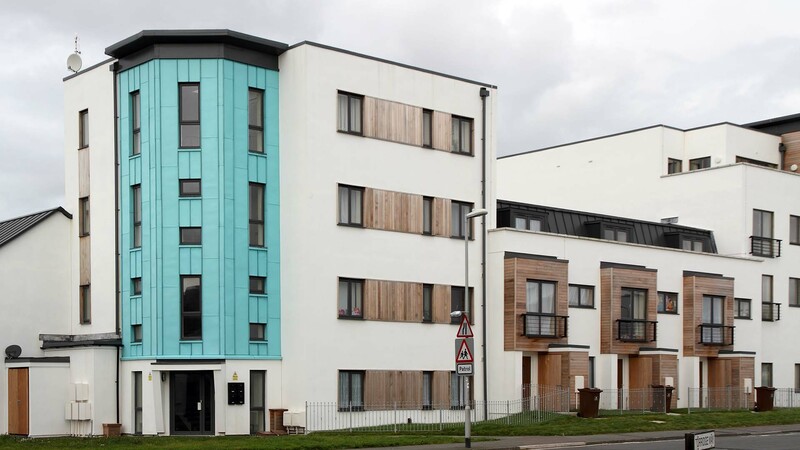 New properties on the Royal Marine development in Plymouth, Devon have been built to the highest standards by local development company Aster Homes. weberend OCR has been used throughout this superb, architecturally designed development. Mi-space, the affordable housing business of the Midas Construction Group, was awarded the main contract as part of Aster Homes’ strategy to create a sustainable neighbourhood. A mixture of homes for shared ownership and affordable rent, the 25-unit Royal Marine development has been built on the site of the former Royal Marine public house and is a stunning example of the best of urban regeneration. 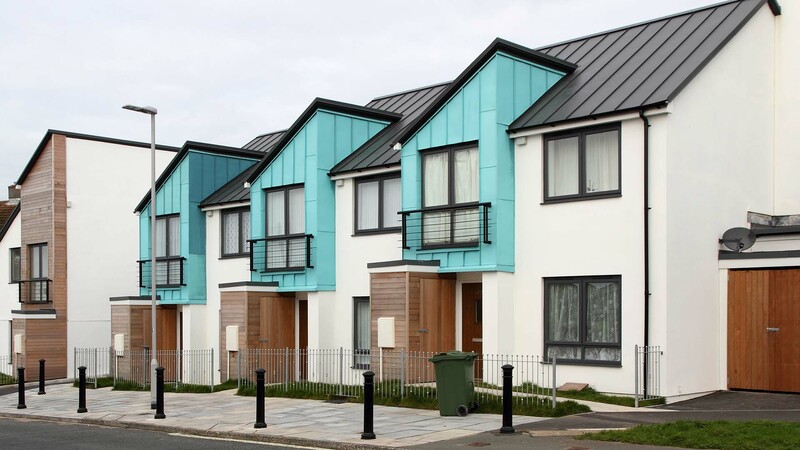 Property types vary in design and size in order to meet specific needs, and the use of different finishes, colours and types of cladding has created the atmosphere of a diverse but small village community that has easy access to local schools, shops and entertainment. 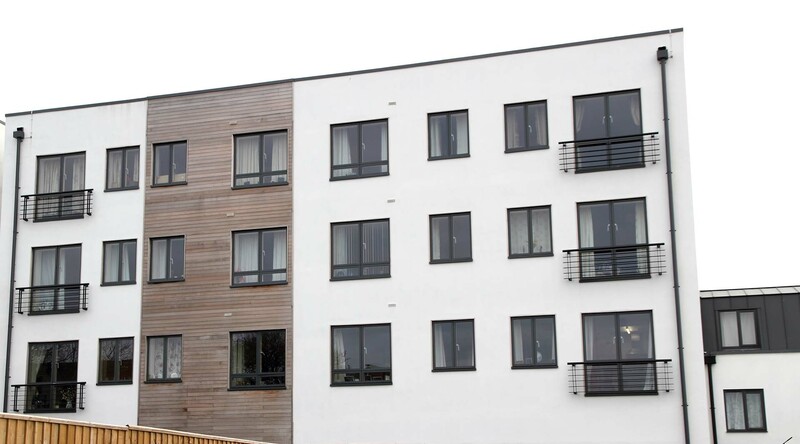 The properties are constructed from a range of traditional materials used in a contemporary style including weberend OCR one-coat base render. weberend OCR has the appearance of a traditional cement and sand render and was specified for its ease and speed of application. weberend OCR can achieve a thickness of 16-25mm to most suitably prepared substrates, including brick, block and concrete, and can be sponged-finished after 4-6 hours. Curing takes place over 2–3 days before the application of a decorative textured finish or traditional masonry paint. In comparison, a traditional sand and cement render requires two or even three coats of render, each requiring a curing time of 3–7 days, before the final decorative finish coat can be applied. weberend OCR is a Portland cement, lime and sand mix and is supplied as pre-blended dry powder requiring only the addition of clean water on site so overcoming the possibility of errors with incorrect proportions of raw materials being used. It offers excellent weather resistance and durability whilst allowing the structure to breathe. Aster Homes is passionate about making a real difference to peoples’ lives, and building bright, vibrant places to live. It provides affordable homes for all Aster Group companies and other housing associations. It is also part of the HCA framework. It has an overall development programme of 600 homes per year.